Is college doomed by the Internet? If George Mason economist and Marginal Revolution blogger Tyler Cowen is right, higher education is about to go the way of the record company. Speaking at the Aspen Ideas Festival, he offered up college as the next in a long line of industries that Internet-enabled innovation is going to scramble. Okay, but why was Tyler paid to communicate this message by lecturing in person at the expensive Aspen Ideas Festival (run by The Atlantic, by the way) at a remote and costly location in the mountains? Why didn't his audience just read his insight for free on Tyler's blog? Could it be that going to college is kind of like going to the Aspen Ideas Festival, but with less hypoxia? There are too many laboratory scientists for too few jobs. That reality runs counter to messages sent by President Obama, the National Science Foundation and other influential groups, who in recent years have called for U.S. universities to churn out more scientists. Obama has made science education a priority, launching a White House science fair to get young people interested in the field. But it’s questionable whether those youths will be able to find work when they get a PhD. Not surprisingly, there's no mention in this article of the impact of immigration. IN the days leading up to the Supreme Court’s health care decision, rumors began to circulate in Washington that the justices had decided to uphold the law. Liberals around town who might have reason to know the outcome seemed happy, according to the gossip, and a couple of conservative justices had seemed angry when the court met three days before the announcement. On the eve of the ruling, a few respected court watchers went so far as to predict publicly that the law would be upheld. It is impossible to know how much of the gossip sprang from actual information. Several dozen people — the justices, their clerks, other members of the court staff — did indeed know the outcome in advance. Although they have a record of discretion exceeding even that of some parts of the national security apparatus, they are human. They have friends and relatives, and they have emotions. With the rumors swirling, I began to check the odds at Intrade, the online prediction market where people can bet on real-world events, several times a day. The odds had barely budged. They continued to show about a 75 percent chance that the law’s so-called mandate would be ruled unconstitutional, right up until the morning it was ruled constitutional. The market — the wisdom of crowds — turned out to be wrong. As I pointed out in a Taki column about the pretend Hollywood Stock Exchange for predicting box office revenue, markets have several advantages over individuals taking SWAGs about upcoming events: random noise and individual bias are reduced. You thought Hunger Games was kind of stupid? Well, Mr. Smartypants, a lot of people thought it was pretty smart. But, a huge part of the value comes if inside information plays a sizable role in setting prices. For example, HSX.com encourages insider trading. It's just pretend money, so nothing is hurt (except outsider players' pride) when somebody who has seen the studio's marketing research uses it in playing HSX. Why didn't InTrade reflect inside information on the health care decision? I don't know. Perhaps the ratio of rubes to insiders among the players has swollen dramatically. Perhaps the insiders didn't play the game fearing that they could go to jail if found to have profited from this hot info. My larger point about prediction markets is that most of the stuff we get excited about in the short run wondering about what will happen isn't all that important in the long run. For example, as I pointed out on the Forth of July, the constitutional history of the U.S. and Canada is quite different, but, in the very long run, famous events haven't played that big of a difference in why daily life in Vancouver is more like daily life in Seattle than daily life in San Diego is like daily life in Mexico. But there's not much of a betting market for that kind of wisdom, which most people find boring and depressing. In fact, a few years ago I came up with the dullest breakthrough insight in the history of the philosophy of science. (Or, more realistically, I'm only the latest in a long line of individuals who have figured this out, but nobody else was interested enough to make the names of my predecessors familiar.) Namely, the reason the social sciences are universally believed to have a poor track record of making predictions is that the kind of things that people are most interested in predictions about are those things are most likely to go either way. The closer something is to being a coin-flip toss-up, the more exciting it is to speculate about what will happen. In contrast, the more reliable the evidence there is for a prediction -- e.g., one I've been making for 40 years: San Diego will tend to be a nicer place to live than Tijuana -- the less people are interested in it. 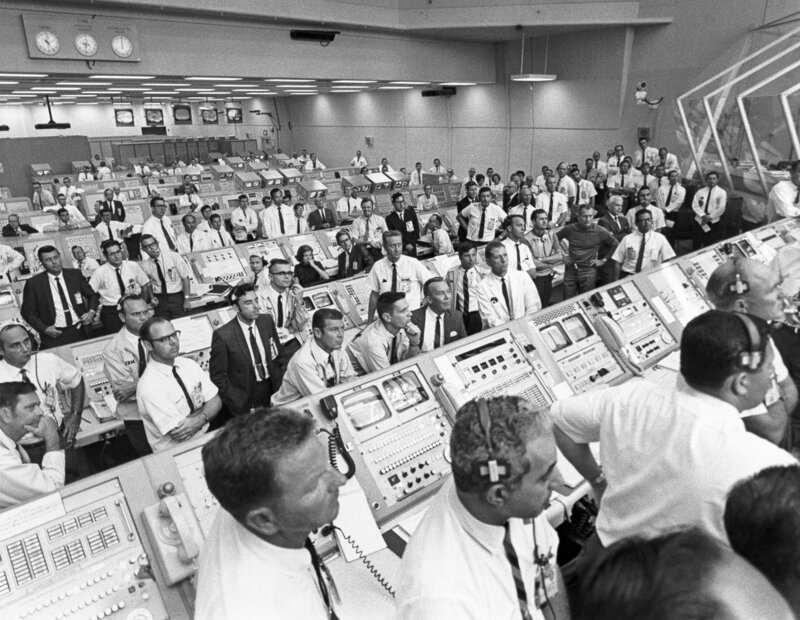 People always tell you that physics is a true science because astronomers can predict an eclipse 10 years from now, but the social sciences aren't true sciences because they can't predict accurately whether the stock market will go up or down tomorrow. Okay, but isn't it obvious that the price of the stock market today is set by a huge number of people all trying to guess where it's going to go, which drives the stock market in the direction of the consensus? In contrast, nothing anybody does has any influence on the orbit of the moon. Consider the Supreme Court's ruling on the health bill? Why was it of so much (temporary) interest? Because it was hard to tell which way it would go. It was an anomalous case and thus hard to predict. The activities of lawyers and judges are voluminous, but most is of trivial interest to the public because it is relatively predictable. In fact, Oliver Wendell Holmes Jr.'s view of the law said that the chief aim of the law should be predictability rather than justice. This was something of an anticipation of Coase Theorem: if people can predict how the law will be applied, they will adjust their affairs accordingly. So, my view is that it makes sense to study the implications of what the social sciences are good at predicting. If San Diego continues to be, as I've been predicting for 40 years, nicer than Tijuana, don't avert your eyes, but ask why is that? What implications does that have for policies, such as immigration? 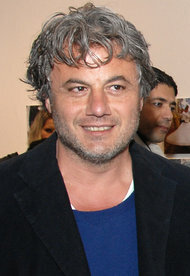 Tlass was born in Rastan in 1964. He is the son of former Defense Minister Mustafa Tlass. His family was the most famous Sunni family in Syria, known for supporting the Alawite-dominated regime. Over the years, I have had a hard time paying attention to Syrian politics because I get distracted by how the players look. The current dictator is kind of an odd-looking Will-Ferrell-plays-Inspector-Clouseau-type, and his father, the previous dictator, looked like a Wisconsin high school principal. One theory -- I heard it from J.P. Rushton -- is that ruling castes tend to get fairer over the generations because powerful men use their power to marry fair wives. That's likely true of the current First Lady of Syria, but I can't recall if anybody has systematically investigated this idea. Where are all the new drugs? Big pharma has taken a new course over the past few years. In the past, most useful drugs originated in some kind of living organism – penicillin, quinine, insulin, etc etc. Nowadays, big pharmaceutical companies use combinatorial chemistry and computer modeling. Merck has sold off its biological-products research arm. This new approach, combined with doubled spending on drug R&D, has been a resounding failure. The rate of development of fundamentally new drugs – ‘new molecular entities’ - is running about 40% of that seen in the 1970s. Since big pharma makes its money from drugs that are still on patent, this slowed innovation is a real threat to their bottom line. Yes, but pharmaceutical companies do still seem to manage to come up with the brilliant innovation of a new version of their pills with a "slow release" coating just before the old version goes off patent. Thank God they figure out the complexities of the SR version just in the nick of time. I think that this is an instance of a more general trend: often a modern, advanced approach shows up, and it persists long after it’s been shown to be a miserable failure. You can see some of the reasons why: the people trained in the new technique would lose out if it were abandoned. Hard to imagine combinatorial chemists rooting around in a garbage can looking for moldy fruit. There's a related general trend that many things take longer to get working right. For example, the F-22 fighter plane goes back to a 1981 Air Force request for proposals, but the Air Force is still trying to figure out how to keep the F-22 from asphyxiating its pilots. 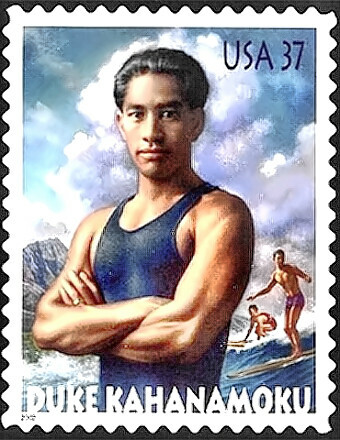 In 1912, Hawaiian beach boy Duke Paoa Kahanamoku was already famous as a surfer and swimmer. He was credited with developing the flutter kick to replace the scissor kick in freestyle swimming [he may have picked it up from visiting Australians] and was the three-time world record holder in the 100-meter freestyle. As a surfer, Duke was one of Hawai'i's best ocean watermen, a beach boy and one of the founders of the Hui Nalu Club. Duke was a fine figure of a Polynesian, slim and muscular and built for speed, blessed with extraordinarily long hands and feet. In 1912, Duke passed through southern California en route to the summer Olympics in Stockholm, Sweden. His surfing demonstrations at Corona del Mar and Santa Monica caused a sensation much greater than Freeth's. Duke became world famous by winning an Olympic gold medal in the 100-meter freestyle in Stockholm and again in Antwerp in 1920. Touted as the fastest swimmer alive, Duke was on the road constantly, giving swimming exhibitions around Europe, the United States and the world. He also became a favorite of Hollywood casting directors, playing Aztec chiefs, Hindu thiefs and Arab princes. On weekends he would take his Hollywood friends surfing, and everywhere he could, Duke used his fame to introduce the world to the sport of surfing. Most notably, he galvanized Australia with a visit in 1914, launching that country's great tradition of surfing. Other trivia: He won a silver medal at his third Olympics in 1924, losing to Johnny Weismuller (who went on to play Tarzan), while his brother won bronze. Then he played on the U.S. water polo team at the 1932 L.A. Olympics. His 1925 rescue using his surfboard of eight drowning men from a ship sinking off Newport Beach, CA was big news nationally. "Duke" was his given name, not his feudal title, although his parents were from well-known (but not royal) Native Hawaiian families. One of the points I'm trying to make with this Diversity Before Diversity series is that when thinking about the past, we shouldn't project how African-Americans were treated to other minorities. It's not accurate, and it's not fair to blacks. Duke Kahanamoku, the wonderful Hawaiian swimmer, who equaled the world's record for swimming fifty yards at the Los Angeles Athletic Club last night enjoyed luncheon at the Hotel Virginia, spent the day in Long Beach and was shown about the city by Lorne Middough and other members of the Poly High Water Polo team. ... He is a remarkable athlete and called forth the admiration of a large audience when he tied the world's fifty-yard mark last night. The great Hawaiian swimmer and six members of the Hawaiian team spent several hours in Long Beach yesterday. They came upon the invitation of Pete Lenz. They couldn't resist the surf and the Duke gave a thrilling exhibition of surfboard riding. Thousands of people enjoyed watching him. Many people here have expressed a wish that the Bath House company would present frequent surfboard riding exhibitions such as was offered yesterday. It is believed they would prove a big card. As a result of a battle to the death with a ten-foot eel, the largest ever seen here. Duke Kahanamoku, who won the world's championship at Stockholm, is today minus the index finger on his right hand and his swimming prowess may be permanently impaired. The swimmer encountered the eel while practicing for the Australian swimming championships off here, and after a fight lasting several minutes, choked it to death. He was exhausted when he reached the shore, with the eel's body in tow. By the way, a key figure in the revival of the old Hawaiian sport, who paved the way for Kahanamoku's exhibitions, was the great writer Jack London (Call of the Wild). London wrote extensively about surfing from 1907 to 1911 (here's an extract), creating global excitement. In one place we came upon a large company of naked natives, of both sexes and all ages, amusing themselves with the national pastime of surf- bathing. Each heathen would paddle three or four hundred yards out to sea (taking a short board with him), then face the shore and wait for a particularly prodigious billow to come along; at the right moment he would fling his board upon its foamy crest and himself upon the board, and here he would come whizzing by like a bombshell! It did not seem that a lightning express-train could shoot along at a more hair-lifting speed. I tried surf-bathing once, subsequently, but made a failure of it. I got the board placed right, and at the right moment, too; but missed the connection myself. The board struck the shore in three-quarters of a second, without any cargo, and I struck the bottom about the same time, with a couple of barrels of water in me. None but natives ever master the art of surf-bathing thoroughly. 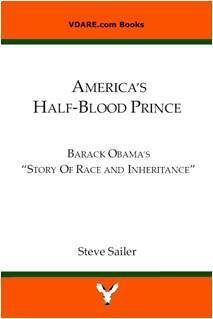 I'm always struck by all the people claiming they had never believed before Obama was elected that there would ever be a black President in their lifetimes. Personally, though, in the summer of 1981, I dreamed up an unlikely but not utterly implausible series of events that would have made my boss's boss's boss the first black President. In the summer of 1981, I had this odd summer job (remember those?) working for Mayor Bradley's Los Angeles-Africa Relations Commission. We organized an exhibition of Benin bronze sculptures at a big downtown museum that was popular, and, much less successfully, tried to stir up interest among L.A. business people in trade with Africa (not surprisingly, Asia was much more alluring to them). But, there was a more interesting aspect: Bradley, having just won his third term as mayor was looking to run for governor of California in 1982. If he won, becoming the first black governor since Reconstruction, and the governor of the largest state in the Union, he'd inevitably get his name mentioned as Vice Presidential Timber for the Democrats in 1984. A governor or senator of California is often a big deal nationally, going back to Nixon becoming Eisenhower's running mate in 1952. Reagan won two terms and Jerry Brown won Democratic primaries in three different years (1976, 1984, and 1992). But, Bradley had always been a local politician with local interests, with little to zero foreign affairs-related experience to make him a credible Veep candiate. So, this tiny L.A.-Africa commission was something that could be mentioned briefly in an article about Bradley as a Vice Presidential possibility in order to show that he wasn't just a pothole and zoning ordnance politician, that Bradley had Global Vision. Here's roughly the chain of events, as I saw them in 1981, that could have made Tom Bradley President. - President Mondale drops dead for some reason and VP Tom Bradley is sworn in as the first black Chief Executive. Okay, so none of that actually happened, but it's not crazy stuff. By the standards of alternative history, it's quite boring. A more minimal version of this is that Bradley is elected governor of California in 1982, Mondale picks him as his running mate in 1984, and they lose like Mondale-Ferraro did in the real world. But in that world, where a black man had already been on a national ticket 24 years earlier, it's hard to see Obama being considered Presidential Timber. The Republican almost had a black nominee in Colin Powell in 1996. In the fall of 1995 Powell was about even in the polls with Bob Dole, but he chose not to run. What I hadn't expected in 1981 was the subsequent decline in the quality of black politicians. I had expected more cautious blacks like Bradley to come along, and one of them to make it to the top, but the 1982 Voting Rights Act and other factors pushed black officeholders on average in the direction of Marion Barry rather than Tom Bradley. Oddly, this decline in black politician quality worked to the advantage of Obama. Despite his lack of accomplishments (relative to, say, Mayor Bradley: compare "I brought the Olympics to America" to "I helped get some asbestos partly removed"), Obama was presentable, and by 2004-2007 that was good enough to make him Presidential Timber. An anonymous commenter offers some insight into the level of empirical research and logical insight that the famous institutions that campaign for Open Borders have brought to analyzing the long-run effects of their policy proposal. In 1996 I had a brief conversation with David Asman, currently with Fox News, but then with the Wall Street Journal editorial page, and someone (as he noted in our conversation) involved with the "There shall be open borders" editorials. I was one of the guests on a short lived and deeply stupid cable TV show Asman was hosting (Issues USA), and after the filming was done I took the opportunity to ask him about precisely your point: how many would come? He wasn't willing to spend much time talking about it (he was a busy man! ), but what he did have to say was kind of..., um..., startling. He condescendingly informed me that people like me had nothing to worry about, because the number of people who would come to the U.S. under open immigration in fact wouldn't be many more than were already coming. How did he know this? Well you see, the Journal had organized a trip down to a section of southwest border for some of its people. And when he was down there he saw with his own eyes that this stretch of border, despite being totally unprotected, was not being flooded by huge numbers of illegal Mexican immigrants rushing north, as the alarmists would have us believe. In fact he didn't see anybody! So why, he asked me -- given that nothing was stopping all of Mexico from coming here illegally right now if they wanted to -- did I think they'd suddenly all start coming if we made it legal? 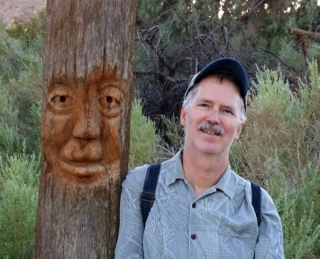 I drove the road along the Arizona-Mexico border in 2003. Similarly, I didn't see a single illegal alien crossing it. Yet, for some reason, I didn't conclude that nobody was crossing. I surmised instead, from all the piles of junk left by crossers, by the holes bashed in the 4 foot tall fence every 100 yards or so, by all the testimony of locals I talked to, by all the news accounts I read in the local papers, that the illegal crossers were using the brilliant ploy of sneaking in at night because that's when it's dark! But then I'm not WSJ Editorial Board timber, so what do I know? One goal of my Diversity Before Diversity series on popular American celebrities of the past who were considered non-white then or would be today (e.g., Jim Thorpe or Pancho Gonzales) or (as in the case of pugilistic superstar John L. Sullivan) have been retconned by today's mythology into supposedly having been viewed as nonwhite back then is to point out that the color line discrimination against blacks was both quantitatively and qualitatively more severe than the discrimination suffered by other groups. However, some organizations are still considered by the federal government to be so crucial that they are apparently exempt from the diversity imperative, such as this one. Video of Bruce and John here. Who invented the term "Founding Fathers?" The Red Scare was still weighing on American hearts and minds. Fathers founding sounded better than revolutionaries, who might be overthrowing. Harding, who liked alliteration, had unleashed one of the great acts of phrasemaking in US history. I'd never heard that before, but then you almost never hear anything good about Warren G. Harding. You only hear he invented "normalcy" and "that's not even a word!" Indeed, much of received history consists of which bits of contemporary snark get passed on into the history books. Paul Johnson inserted an impassioned defense of Harding in his Modern Times. I'm not sure I'd go as far, but I would point out that America appeared to be undergoing a nervous breakdown during the second Wilson administration, but by the time of Harding's death, was enjoying a period of solid accomplishment. For many years, the Wall Street Journal editorialized in favor of a five word Amendment to the U.S. Constitution: "There shall be open borders." So, I've long been interested in trying to estimate just how many people would move to the U.S. if this highly respectable policy recommendation were ever actually implemented. George Borjas pointed out that about 1/4th of all Puerto Ricans moved to the U.S. mainland after open borders started. The flow was only slowed by granting immense tax breaks to American companies who set up shop in Puerto Rico. Even without open borders, over one-fifth of all Mexicans in the world live in the U.S.
And, as I pointed out in VDARE in 2005, about five billion people live in countries with lower average per capita GDPs than Mexico. So, open borders advocates ought to at least provide us with an estimate of what fraction of that five billion they would expect to immigrate here (assuming, for the sake of argument, that the effects of open borders wouldn't diminish the appeal of the United States to immigrants, which it no doubt would). ... the number of Marshallese [in the U.S.] is likely to grow. The islands and the United States have been intertwined since World War II. The United States has detonated at least 67 nuclear bombs in its 750,000-square-mile territory. The radioactive fallout rendered some islands uninhabitable. And United States military operations there are powered by American processed food, beloved by locals but blamed for the explosion in diabetes. A 1986 compact gave the United States continued military access, while the Marshallese got the right to work and live in the United States indefinitely without visas. More than a third of the Marshallese — about 20,000 — have seized the opportunity. A few days later, Ms. Laelan was out working on another cause: persuading [Arkansas] state officials to offer a Marshallese-language driver’s test. Few can pass the English test, but many must drive to work or to the doctor’s office. As a court translator, she sees Marshallese incur fines and jail time. Some lose their jobs. The Marshallese around the table in the Legal Aid office were silent and seemed worried about the idea of taking on the United States government. I would imagine that 67 nuclear detonations could induce caution. And it's time we did something about Canada's repeated violations of the basic human right to free expression. It's time to boycott vacationing in Canada until Canada improves its human rights situation. Granted, I can only afford to vacation places where I can pitch a tent; but let the word go out to Canadian firewood retailers that they won't be getting any of my business until they help pressure their government to stop persecuting writers. I have been informed that persecution of writers in Canada has lessened in recent years, so I hereby announce a suspension of the boycott. But, be aware, Canadian campfire fuel vendors, that the hammer could come back down at any moment. From the Telegraph of London, an account of a student in Australia: "who attended an elite private girls' school in Sydney, said she had a wrist problem, suffered discrimination and her mark should have been 100. Her result, a university entrance score, meant she beat 99.95 per cent of other students – but she believed she would have received the top mark if treated fairly." What if America hadn't won its independence? Every Fourth of July, a heretical question nags: Would it have been so bad if America hadn’t won its independence from Britain? “They make you hire a certain number of chicks, and they’re always the least funny on the writing staff. The reason why you know more funny dudes than funny chicks is that dudes are funnier than chicks." Obviously, Carolla should have put in "tend to" or "on average," but the reason his assertion has riled up so many people is because it's obviously true. The men's topics simply sound more likely to be funny: they are familiar enough to be comprehensible but not so familiar that you'd have to be a genius to come up with a truly fresh joke on, say, "just went through a break-up." In general, men are interested in a wider and less personally relevant range of subjects than women, while women focus more on their own lives and those of the people around them. As a man who is highly interested in an impractically wide range of subjects of little personal import, I say, Thank God for Women. Methodological Note: The better way to do this to avoid unconscious selection bias is to draw randomly or completely from somebody else's list created for some other purpose: Rising Comics of 2012 or whatever. But, it's still a pleasure to see somebody do a little research. 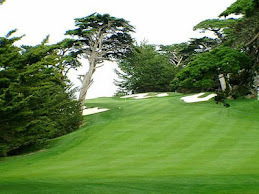 When one thinks of the Hamptons, what jumps to mind are masters of the universe and their mansions by the sea. But a strong, steady stream of immigrants has been flowing to the area for years, drawn by a service economy that demands hedges be trimmed and houses be cleaned. In the Springs, a hamlet in the town of East Hampton, where most of the houses are small and the year-round population is relatively large, the Hispanic population has tripled in the past 10 years — and tension has emerged. The pockets of tension are concentrated in year-round communities, where the immigrants, legal and illegal, tend to live alongside the landscapers and the contractors with whom they are competing for business. These areas are far less affluent than the southern end of town, where Manhattanites spend the summer by the ocean, in homes hidden behind 12-foot hedges. Most of the houses on the leafy, winding roads of the Springs are small, well kept but simple. Pickup trucks and modest cars are parked in driveways under fluttering American flags. Home prices and rents are relatively low. Most Springs residents are white, but according to the 2010 census, 37 percent are Hispanic. Mr. Lynch and others who have raised the issue of crowded houses — at Town Board meetings or in property owner association newsletters — say it has nothing to do with race or ethnicity, but rather enforcement of existing codes that designate homes for single-family use. If a house is crammed with several families, they say, or occupied like a rooming house, that can hurt a whole street. Or when neighbors pack houses full of children, their critics complain of ending up shouldering an unfair portion of the school tax burden. “This is really about property values and the neighborhood,” said Carol Saxe Buda, who helped begin a group called Unoccupy Springs about a year and a half ago to address crowding. The East Hampton housing code allows no more than four unrelated people, or one family, to occupy a single-family home, and town officials acknowledge that crowding does exist. They receive a few complaints each week, most frequently in the Springs, and some of those do result in violations. And the deputy town supervisor, Theresa K. Quigley, said the Springs had some of the highest per-acre taxes around. Interestingly, the initial commenters on this article were largely liberal hateaholics who raged against the racist white Republican one percenters in beachfront mansions depicted in the article as protesting against illegal immigration. Over time, though, the comments section filled up with reasoned rebuttals from immigration restrictionists pointing out the horrible reading comprehension skills the early comments displayed. Yet, the bigger point is that the useful concept of the white rich and the diverse poor teaming up to squeeze the middle in the name of fighting racism (e.g., Angelo Mozilo of Countrywide handing out $700,000 subprime mortgages to strawberry pickers to get rich while battling redlining) is simply not a part of the conceptual vocabulary of all but the most sophisticated thinkers today. This spring, some residents went to a Town Board meeting waving giant photographs of homes they said were over-occupied, Ms. Quigley recounted, and threatening to compile and publicize a list of every one of those homes they could find. Ms. Quigley made a comment to a person nearby comparing the sentiments in the room to the rise of Nazism. That comment was picked up by a microphone and it soon typhooned into a controversy. Last week, she refused to back down from the comparison. Fred Weinberg, a member of the Unoccupy Springs group who was at that Town Board meeting, said that as a Jewish man, he found the remarks extremely offensive, and he demanded Ms. Quigley’s resignation. She did not oblige or apologize. Where could Ms. Quigley possibly have gotten the idea that citizens petitioning their elected officials for enforcement of laws broken by illegal aliens is starting America down the slippery slope to Auschwitz? From reading New York Times editorials, quite possibly. Today he continues to work on the issues of crowding, he said, though he prefers to work away from Ms. Quigley when possible. Well, lots of luck with that you, admitted allies of racists and, no doubt, proto-Nazis. The War on Racists is the most important thing in the whole world (except when its the War on Homophobes), so you'd better take about 20 or 30 years off to first purge all racists from the ranks of your supporters, before anybody respectable will listen to you. Seriously, working class folks have to learn that the way you keep undesirable out of your neighborhood is by never ever mentioning them (unless they are white). No, you keep out people you don't want around by advocating for the environment. For example, a few decades ago, some developer wanted to put up working class housing in the Hamptons in an area that the Masters of the Universe considered too close to their summer houses. One day, a pond on the site was suddenly discovered to be home to a bucketful of a certain species of small fish (?) listed as endangered by the State of New York ... but not by the EPA because the fish was common in the Carolinas. In fact, it was so common down south that you could place an order over the phone with a Carolina bait shop to Fed Ex you a bucket full of the live fish, which you could then pour into the pond one evening. Mexico's Institutional Revolutionary Party is back in power after 12 years, with a President who looks like a mid-market anchorman trying to figure out if what the weatherman said on-air was just a joke or actually some kind of veiled insult directed at his intelligence. 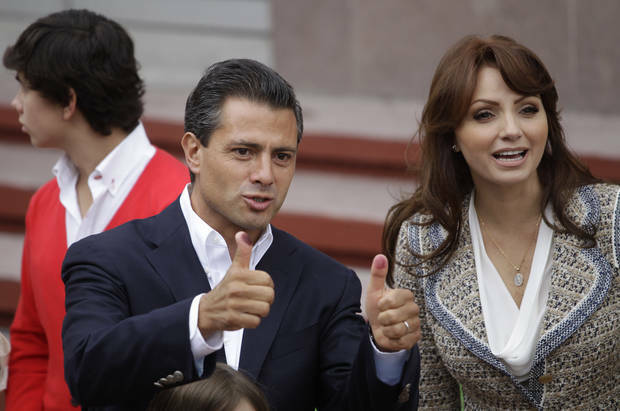 Here's a new article in which two crack reporters from the New York Times struggle visibly to come up with anything to say about Enrique Pena Nieto. Can this guy possibly be as vapid as he looks? Isn't President of Mexico one of those really good jobs, like Mayor of Chicago? What's the story here? And here's an ancient VDARE article from 2001 about Pena Nieto's backer Carlos Salinas, the PRI's president from 1988-1994. Mexico is a quite interesting place, but Americans consider it in poor taste to pay much attention. More globally, are politicians getting more youthful-looking? In the 1928 election, Herbert Hoover's running mate was Charles Curtis, the Senate Majority Leader (R-KS), who had been one of his rivals for the nomination. Curtis was famous for being part American Indian, although how much he was Indian by nature appears vague to the casual researcher. Wikipedia implies his mother was 3/4ths Indian, making him 3/8th, while USA Today quotes a boilerplate part of his speeches as proclaiming himself "one-eighth Kaw Indian and 100% Republican." By nurture, he had been surprisingly Indian: he could speak Kaw before he could speak English and spent a number of his formative years on a reservation. In general, his Indian ties added a bit of glamor to his image with the public. Also, other politicians tended to defer to his judgment on Indian policy questions. 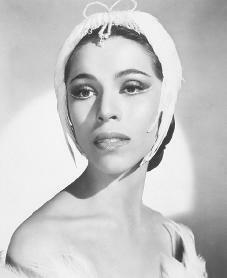 Maria Tallchief (b. 1925), whose father was a chief of the Osage Nation of American Indians in Oklahoma and whose mother was Scots Irish, was perhaps the most famous ballet dancer in mid-20th Century America. She married her choreographer George Ballanchine in 1946. He developed some of his most famous works for her. She was the prima ballerina of the New York City Ballet from 1947-1960. Dancing the sugar plum fairy in the nation's leading annual mounting of The Nutcracker, she was the foremost idol of little girls who dreamed of becoming a ballerina. One seldom-remarked trend has been the apparent physical decline of part-American Indians since the era when Jim Thorpe was widely considered to be the greatest American athlete. Major league ballplayers who were part American Indian, such as Hall of Famers Chief Bender and Zack Wheat, were common before 1947, but have dropped off by perhaps an order of magnitude since then. Paging Rick Sanchez and Gregg Easterbrook! Kagame, a Tutsi, also indirectly caused the genocide by invading Rwanda with his army of Tutsis in exile, with the assistance of Uganda. The genocide was rather like guillotine terror in Revolutionary Paris in 1793 as France was invaded by monarchical powers: Hutu hysteria caused by the imminence of Kagame's conquest of Rwanda. Kagame also successfully opposed foreign intervention to stop the genocide because he feared it would lead to the West putting a moderate member of the Hutu majority in power. After all, the point of all those years of war was not democracy but to put the Tutsi aristocrats back in their rightful place on top of the Hutu masses in Rwanda, just as they've always been in neighboring Burundi. Many outsiders find it hard to understand why Mr. Kagame would allow such human rights abuses, when Rwanda needs international support to meet the challenges of overpopulation and a paucity of natural resources. Mr. Kagame has advocated high-tech investment and promoted education in English instead of French. International investment has risen, and transparency has improved. Visitors to Kigali are invariably impressed by the government officials and businessmen they encounter. Most of these Rwandans, like Mr. Kagame, are repatriated refugees from the ethnic Tutsi minority who returned after the genocide. Some outsiders, mindful of the intense trauma Rwandans suffered 18 years ago, are willing to tolerate the crackdown on dissent as long as economic growth and the appearance of social calm continue. Well, yeah, it's only been 18 years. After all, the Tutsi exiles from Rwanda in Uganda plotted their return to power for a third of a century, and they succeeded. President Kagame went into exile as a two year old in 1960 when Rwanda decolonized, and he started his invasion of his homeland in 1990. But that is a mistake. It is time to worry instead that Mr. Kagame is rebuilding the country with authoritarian practices that could ultimately undermine Rwanda’s economic achievements. His intolerance of dissent stifles the debate and free thought Rwanda needs if it is to become a modern, technologically advanced economy. The coercive nature of his government’s national unity program could someday drag it back into ethnic conflict. The government says it wants to create a new identity in which all would see themselves as Rwandans, neither Hutu nor Tutsi. But this strikes many Rwandans as an effort to impose a false unity on them while cynically using the threat of renewed violence to strengthen the government’s position. An inability to speak openly about ethnic feelings allows ethnic resentments to fester as whispers. Many Hutus privately complain not only that Tutsis monopolize the government but that Tutsis are the sole beneficiaries of Rwanda’s growth. In contrast, in the U.S., where to-encourage-the-others events like the firing of ESPN football pundit Gregg Easterbrook and CNN anchor Rick Sanchez for saying that Jews are not an oppressed minority in the media business, are carried out without any need for law, nor even any public controversy. Ultimately, this censorship and stifling are justified on the grounds of a genocide not 18 years ago, but 67 years ago, and one not in the U.S. at all, but in a country the U.S. was attempting to bomb flat. So, you've got to say, at least relative to what happens in the U.S., that Kagame has a case. An Op-Ed in the New York Times by a Hungary-born historian gives an updated version of the traditional Austro-Hungarian Empire view on political structure: multiculturalism is incompatible with democracy, so down with democracy. The old Mittel-Europeans, like the late Otto Hapsburg, actually had some family memories of how to govern a multiculti state, so it's worth considering their views on where the conventional wisdom is taking us. Where’s Charlemagne When We Need Him? WRITING some 50 years ago, Archduke Otto Hapsburg, the last pretender to the crowns of Austria and Hungary, warned that economic cooperation alone would not satisfy the peoples of Europe and that European unification could not succeed unless it was imbued with an abstract principle. Only something as mystical, he wrote, as the Holy Roman Empire could give people hope, a sense of religious renewal and combat the pernicious effects of local interest, chauvinism, xenophobia and racism. Today’s European crisis indeed shows that great political institutions cannot be constituted solely on a rational basis or through the bureaucracy and incrementalism of Brussels. The true purpose of the European Union is to bring about peace, prosperity and equality among the diverse regions and groups. Peace has indeed prevailed on most of the Continent, but in the last few years, with prosperity endangered, continued regional inequality has become even more blatant, while radical nationalism has raised its ugly head. Historic empires provided ideals — whether universal Christian unity or the Marxist-Leninist dogmas of the Soviet Union — in which people were able to believe, no matter how flawed the ruler and how corrupt the imperial institutions. So long as people believe in the principles, the system is likely to endure. Today’s Europe possesses idealistic institutions like the Erasmus program, which allows student exchange; the European University Institute in Florence; the Jean Monnet program for distinguished scholars; and the Leonardo da Vinci program for vocational education. But these are clearly not enough to overcome regional tensions, bitter north-south divisions and a general indifference to the European project. But today, where are those formidable priests and kings whose bloody clashes and spiritual challenges created the foundation of European constitutional practices and whose antics inspired the Europeans to care? Latin-speaking teachers and students once moved as freely between universities as they do today; Erasmus of Rotterdam was friends with Sir Thomas More and the entire European intellectual establishment. The fatal break in the common European Latin culture came when the Reformation elevated the vernacular to a literary level and thus created the foundations of secular, cultural nationalism. It also led to terrible internecine wars. Later empires, like those of Napoleon, Wilhelmine Germany and czarist Russia, mainly served dynastic or national interests. BY 1900, only two genuine multinational empires remained. One was the Ottoman, which was by then in the process of abandoning its traditional religious toleration for Turkish nationalism and even racism. The other was Austria-Hungary, home to 11 major national groups: a paradise in comparison with what it was to become. Its army had 11 official languages, and officers were obliged to address the men in up to four of them. A new imperial construct embracing all nations, religions and non-totalitarian ideologies might well be the only alternative to the revival of tribalism with all its tragic consequences. And it will be the sacred task of leaders to make the rest of society see this as an exalted, almost religious goal: a new European faith that belongs to no church. In general, war within Western Europe is obsolete. So, why the ever-tightening political and economic constriction? Can the European Union Be Multilingual and Democratic? Raising basic questions about whether the European Union and democracy will ever prove compatible, Danish voters Thursday rejected the European Union's floundering continental currency, the euro, in favor of keeping Denmark's traditional krone. Although eleven European governments have already adopted the euro, this was the first time any nation's citizens had been allowed to vote specifically on whether to switch currencies. The Danish referendum demonstrates that the most serious obstacle to the Euro-elites' plan for unifying Europe is democracy. The euro controversy is not about economics, but about political accountability. Blaming the defeat in Denmark on the euro's 25% plummet in value against the American dollar since its 1999 introduction, Italian Treasury Minister Vincenzo Visco pointed out, "The root of the problem is that the markets do not think countries can act as if they were a single country." By this logic, the only solution would appear to be to continue the process of homogenizing the historic nations of Europe into one superstate that the markets would indeed view as a single country. Can, however, this coming superstate become a true republic? (It's not much of one now. Most power resides with bureaucrats in Brussels.) There are fundamental reasons why multilingual governments such as the European Union have always tended to either break apart into smaller nation-states or harden into authoritarian empires. There is no denying the short-term economic benefits of a single European currency. Americans can imagine the inconvenience if they had to change money every time they drove from Kentucky to Indiana. And before the euro, European companies doing business in neighboring states had to pay an interest rate risk premium when borrowing due to uncertainty over currency fluctuations. For example, a Dutch firm's subsidiary in Italy could be doing wonderfully, but if the Italian lira collapsed even faster than expected, the company would have to explain to investors why profits weren't up to plan. Denmark's left and right found themselves in an interesting alliance against the centrist euro supporters. Echoing one of the themes of Pat Buchanan's Reform Party Presidential bid, Danish rightists campaigned against giving up national sovereignty over economic policy. To them, managing the value of the currency is one of the basic responsibilities and privileges of a democratic nation-state. Tellingly, the gender gap loomed large in Danish voting. Danish men, who work in large numbers for private firms that export to the rest of Europe, tended to back the euro. But Danish women, who mostly work for the government's vast social service bureaucracies, staunchly opposed the euro. Inga Johnson of Women Against the European Union, called it a "rich man's project," driven by the "raw forces of capitalism." She saw the euro as a threat to Denmark's pervasive system of state-funded daycare, which allows 71% of Danish women to work full time, the highest percentage in Europe. ... "One can see why the Italians are OK with the euro," observes businessman James C. Bennett, author of the upcoming book, "The Anglosphere Challenge: The Future of the English-Speaking Nations in the Internet Era." "After all, the Italians are no more bothered by letting Germans run their currency than they are by having Swiss guard the Vatican." In contrast, the Danes have managed their own affairs quite successfully. These chilly northerners still possess the self-discipline to be able to afford the welfare state. They are loath to give up the system they invented just because it's no longer working well for the rest of Europe. This section is relevant to why so many people are made uncomfortable by the contemporary assumption among American elites that, of course, American political campaigns should also be conducted in Spanish. A single language unifies a country into a shared "information sphere." When citizens can understand each other, they are much more likely to identify with their compatriots - and sacrifice for them. They can also monitor politics across their society and intelligently participate in debates. Bennett comments, "No one person can really follow European politics as a whole, since that would require reading and speaking such a wide variety of languages with subtlety and ability to understand context, that only a handful might even try. A 'European' politics outside of the corridors of EU headquarters in Brussels does not and cannot exist." Consider the difficulties posed by the need for translations of political discourse. Jamie Hamilton of AnswerLogic, a company that creates automatic translation software for technical manuals, points out, "To do cross-cultural translation right, you need a firm understanding of what the original speaker said, and how the listener is likely to (mis)interpret it." Soviet dictator Nikita Khrushchev notoriously told the U.S., "We will bury you." American citizens took that as an extremely aggressive threat. Yet, according to Hamilton, in Russian the phrase actually "connotes something fairly mild: 'we'll outlive you,' 'we'll be there at your funeral.'" The European establishment laid sanctions on Austria earlier this year because it didn't like it's democratically elected governments. But almost all the charges against rightwing Euroskeptic Joerg Haider consisted of objections to a few phrases he had used in past years. Concerned foreigners who don't speak German found themselves at the mercy of translators, many with axes to grind, with little way to judge between competing translations. And there really aren't many concerned foreigners. These days, most citizens get their political opinions from watching leaders and pundits speak on television. For example, huge numbers of Americans will decide who to vote for in the Presidential race while watching the candidates debate on TV. If the Euro-politicians were speaking different languages and therefore would have to be dubbed like a bad kung fu movie to make them intelligible to the citizens, apathy will reign. An older word for "superstate" is "empire." The rigorous demands of running an empire naturally tend to undermine democracy. The complexity of governing multilingual domains is so great that more and more power flows from the legislature to the executive and the permanent bureaucracies. Fewer and fewer democratic controls are tolerated since the people are deemed to be not well-enough informed to vote on the many esoteric issues that come up. The Roman Republic discovered this when Julius Caesar conquered Gaul. Nor is America immune to this trend. For example, the last nation the U.S. Congress declared war upon was Nazi Germany. After WWII, Washington's new imperial responsibilities made the ruling establishment reluctant to carry out its constitutional mandate to submit questions of war or peace to the elected representatives of the American people ... with, by the way, disastrous results in Vietnam. Europe faces an even worse problem in this regard than the US, since it lacks a shared European language. Thus, power tends to drift into the hands of self-perpetuating elites, such as the Eurocrats of Brussels. These professional Europeans are either multilingual or can afford translators. For all the deplorable aspects of the current American presidential campaign, it's only possible at all because the great majority of voters speak the same language. There will never be election campaigns for the President of Europe until enough Europeans speak the same language. And until the EU has a legitimate elected executive who can control the Eurocrats, it will remain an essentially authoritarian, anti-democratic institution. Ultimately, Europe would need a common language to become a democratic nation-state. There's only one feasible candidate, English, which is already a pervasive second language in Scandinavia, Holland, and Greece. Bennett, however, says, " I can't imagine the French adopting English as the language of their domestic politics (or many other nations either.) But even assuming they did, I'm not sure that a French politician would mean the same thing by the word "fair" as an English one." President Obama and Mitt Romney have yet to adopt a nuanced approach to targeting the country's 21.3 million Latino voters, Spanish-language media experts say. We all ought to know by now that a huge amount of journalism consists of reporters synthesizing materials provided by paid PR flacks. Obviously, reporters appreciate this. They don't mention it because they don't want to offend the folks who do much of the work for them by pointing out that the "experts" who return their messages so promptly with cut and paste talking points have glaring financial conflicts of interest. So, readers must keep this in mind. But, how obvious is all this to readers? How obvious is it to reporters, even? I've read thousands of articles over the years that quote these Latino political consultants as objective experts, and maybe a half dozen articles pointing out their financial interestedness. There is very little evidence whatsoever that mainstream media understands what it doesn't mention. Here's a rule of the long-term effect of self-censorship in public discourse: What goes unsaid eventually goes unthought. Both political parties agree that the country's 21.3 million registered Latino voters could make a crucial difference in this year's presidential election. Yet in a race defined by massive spending on television ads, fast-response Internet videos and sophisticated social media efforts, both President Obama and challenger Mitt Romney have fallen short thus far when it comes to targeting Latino voters electronically, according to some Spanish-language media experts. Republican candidate Romney trails Obama badly among Latinos, according to polls released last week, and isn't counting on them to propel him to victory. Even so, his Spanish-language advertising has been minimal and clumsy, the experts said. Some of his ads are simply translated versions of his English-language commercials — a particular no-no when trying to reach Latino consumers. Are there many people voting who don't speak English? If so, why? Furthermore, from an honest government perspective, why is it a good thing for a candidate to say one thing in one language and something else in another language? If Romney is going to advertise in languages other than English, I am least reassured to learn that he's trying to say the same thing in all languages. Obama has spent more heavily, and created more effective ads than his rival, but some experts said that so far he has failed to craft a campaign that keeps pace with the rapidly increasing size and sophistication of the Latino population, which climbed to 50.5 million in the 2010 census, from 35.3 million a decade earlier. Those experts would say that, wouldn't they? Neither campaign has adopted the approach honed over the years by businesses targeting Spanish speakers — one that not only depicts Latinos in positive settings, but also reflects attention to cultural nuance. A truck ad in the Midwest, for example, will show American flags and beer-drinking men, while an ad for the same truck in Arizona will depict Latino men hauling construction equipment and managing their farms. "In the TV world, there's incredible sensitivity to trying to get Latinos excited; there's tons of money spent on 'how do we get this demographic to like our product?'" said Matt Barreto, a prominent Latino pollster at the University of Washington. "The political world has been very slow to change." A more subtle point is the merger over time of the sympathies of journalists and marketers. In Ben Hecht's day, reporters tended to be cynical wiseacres, but today they tend to view marketing campaigns the way movie fanboys view marketing campaigns for summer blockbusters: as enthusiasts, as admirers of the arts of trailer trickery, whose only objection is that they think they, personally, could do an even more awesome job. Some marketing experts say Romney's Spanish-language efforts suggest he's abandoned hope altogether of reaching the Latino community. Polls indicate the same — an NBC/Wall Street Journal/Telemundo poll showed Obama led Romney 66% to 26% among Latino voters. Romney's campaign has released two Spanish-language video ads so far — "Día Uno" and "Van Bien?" — but both are directly translated from identical ads in English, a blunder in Spanish-language marketing, said Glenn Llopis, founder of the Center for Hispanic Leadership. "You can't just translate these things," Llopis said. "That's where a lot of these marketing things go wrong. They need to be customized, form-fitted. If the Hispanic community thinks you're just translating and not creating a campaign that speaks to them, they'll just shut off." 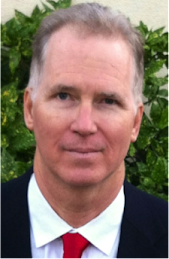 Glenn Llopis could no doubt provide the Romney campaign with a list of friends and relatives of his they could hire. The ads also don't talk about issues such as healthcare and education that are important to Latino voters, many of whom are uninsured and benefit from policies such as Obama's healthcare law. Obviously, Romney should hire a whole bunch of Hispanic marketing experts who, at vast expense, would come up with a brilliant marketing plan of some sort to delude Hispanics into voting against their rational self-interests. Seriously, having looked at countless polls of Latino voters over the years, they strike me as far more sensibly straight-forward voters than white people. The majority of Hispanics vote for the tax and spend / affirmative action party because they net benefit from the Democrats' tax and spend and affirmative action policies. Further, Hispanic voters seem relatively immune to the complex semi-self-deluded meta-reasons that white voters are prone to, which makes whites such fascinating prey for political marketers. What's more, some of the phrases in those ads are awkwardly translated, said Melisa Diaz, a Latino media consultant based inWashington, D.C., who has worked for the Democratic National Committee. "Doing Fine?" would be more accurately translated as "Las cosas están bien?" Diaz said, while the proper phrase to convey "the right direction" would be "la dirección correcta," not "la buena dirección," as used in the ads. And the English idiom "Day One" would be better if phrased "El Primer Día," not "Día Uno," Diaz said. "These kind of mistakes would not happen in an English-language ad," she said. "You can tell that the ads were not proofed by a native speaker." "In every way, he's not really courting the Latino vote," Barreto said. "He's doing as little as possible." That includes spending — Romney spent just $33,000 on Spanish-language ads between mid-April and mid-June in the battleground states of North Carolina and Ohio, while Obama spent $1.7 million over the same period, according to SMG-Delta. Maybe, I'm out of date on business arrangements, but the traditional way it worked was that political consultants also own agencies that bought advertising space in the media. Indeed, a main source of compensation was for them to pocket 15% of the ad budget in return for placing the ad buys. Not surprisingly, that gives these "experts" an incentive to advocate spending more on ads. Perhaps the Romney campaign is paying close attention to studies that show advertising in Spanish can turn off white and black voters. When white and black audiences saw ads with a Latino endorsement or in Spanish, their support for a candidate dropped, said Ricardo Ramirez, a professor of political science at Notre Dame. "We know that appearing more inclusive by outreaching toward Latinos seems to work well for immigrants, but it seems to have a negative impact on blacks and whites," he said. Who make up close to 7/8ths of the voters.